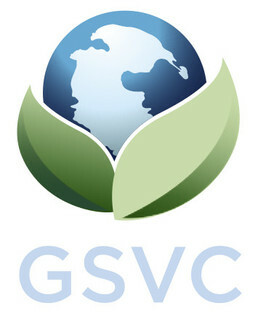 Intesa Sanpaolo and Banca Prossima announce the 2011 edition of the Start-Up Initiative / Global Social Venture Competition Italy, focusing on projects and technologies with a high social impact. The event is organized in cooperation with Alta Scuola Impresa e Società dell’Università Cattolica di Milano (ALTIS), Associazione San Michele Valore Impresa, and Associazione Prospera. 20 startups are going through the coaching and training stage: the top 10 will reach the Investor Arena Meeting, where they will pitch their business idea to investors, companies and institutions. The startup application window for this event is closed. If you wish to take part as an observer, please send an email to startup@intesasanpaolo.com. Creating equitable sharing of treasures of coffee where every US dollar invested a social return on investment of at least US$ 10.0 is made. New company aiming at becoming the distinguished Regional leader in providing aggro-forestry inputs and services in East Africa. The next generation in solar energy. Smart and friendly solar thermal and photovoltaic panels. Community Centre aimed at assisting students of Nghomunghomu Village to study further by acquiring outstanding matric results. A revolutionary recruiting system to scout and discover young leaders in the Internet landscape. We find potential in Human Capital. unique and free-of-charge web platform that helps disabled candidates enter the working world. We are the European leaders in Positive Marketing: Positive news makes you feel better and makes companies selling more products. Recovery and refinement of industrial production waste through design. Idea to maximize the time spent for fitness training with an ecologically sustainable use of the environment. Our project is oriented in the social sphere and play activities aimed at all disadvantaged children. The proposed business idea in an innovative and contemporary interpretation of hemp-based products, in interior design and fashion.